Get Cash for your unwanted Gold by simply filling out the form on your right and we will send you our GoldKit by mail that same day. As soon as you receive our GoldKit, you will place your unwanted jewelry such as Gold, Silver or even Diamonds in the envelope and ship it to us via Canada Post or any courier provider. We will then issue a check to you on that same day following the reception of the GoldKit. 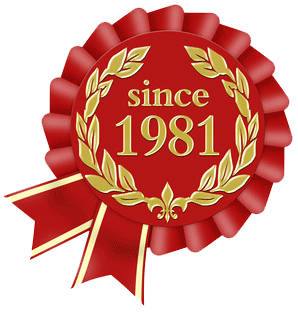 WeBuyGoldCanada, with over 32 years of experience in the gold and diamond business, is committed to offer you our highest payout for all your precious metals and precious stones while ensuring you a safe, simple and easy transaction with us. If you are not satisfied with our offer, for whatever reason, simply return us the check within 15 business days of the date of the check and we will promptly return your jewelry at OUR cost. Simple:Selling your unwanted or broken gold jewelry with us is very simple. 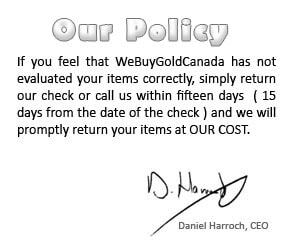 By filling out the WeBuyGold Envelope on your right, you should then receive it within 2 to 5 business days and you will simply need to send it to us. Secure:Send your jewelry and diamonds back to us via your local Canada Post facility. You can track your package on our website on the top right of the page. We accept packages from all courier. Payment:We offer many payment options such as cheque, bank wire, direct deposits, E-Transfers and Paypal.